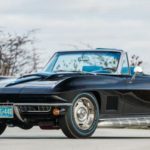 Home » Posts tagged "Mecum Auction"
Posted on January 13, 2017 Posted in Chevrolet Corvette History, Corvette Features, Corvettes at Auction	. Tags: 1962, 1962 Firemist Gold Corvette Styling Car, C1, Corvette Styling Car, General Motors Styling Department, GM Shop Order #10224, Mecum, Mecum Auction, Mecum Auction Kissimmee, Proteam Corvette, Shop Order Number #10224, Styling, Terry Michaelis	. 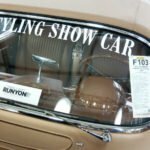 Posted on January 12, 2017 Posted in Corvette Features, Corvette News and Archives, Corvettes at Auction	. Tags: 1962 Corvette, Bunkie Knudsen, Cadillac Heather Amethyst, Garwood Anderson, Mecum, Mecum Auction, Mecum Auction Kissimmee, Tangier Shrine Corvette, Tangier Shrine Parade Corvette	. 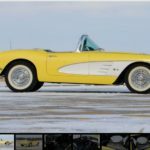 Posted on January 11, 2017 Posted in Corvette News and Archives, Corvettes at Auction	. Tags: 1958 Corvette, 1958 Corvette Star Car, Mecum, Mecum Auction, Mecum Auction Kissimmee, Panama Yellow Corvette	. 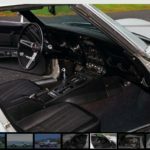 Tags: 1969 Corvette for Sale, Dale Reed Collection, Mecum Auction, Mecum Auction Kissimmee, No Reserve, Where the Cars Are	. 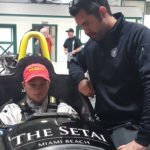 Posted on January 3, 2017 Posted in Corvette Features, Corvette News and Archives, Corvettes at Auction	. 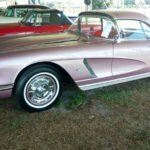 Tags: 1967 Corvette Convertible, 1967 Corvette for Sale, 1967 Sunflower Yellow Corvette, Chevrolet Corvette convertible for Sale, Chevy Corvette for Sale, Corvettes for Sale, Mecum Auction, Mecum Auction Kissimmee, Mecum Auto Auction, Old Corvettes for Sale	. 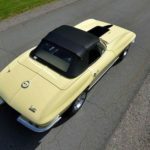 Posted on July 27, 2016 Posted in Corvette Features, Corvette News and Archives, Corvettes at Auction, Vette Vues Magazine Past Coverage of Corvette Events	. Tags: 1967 Corvette Auctioned, Mecum Auction	. Posted on December 29, 2015 Posted in Corvette News and Archives, Corvettes at Auction	.